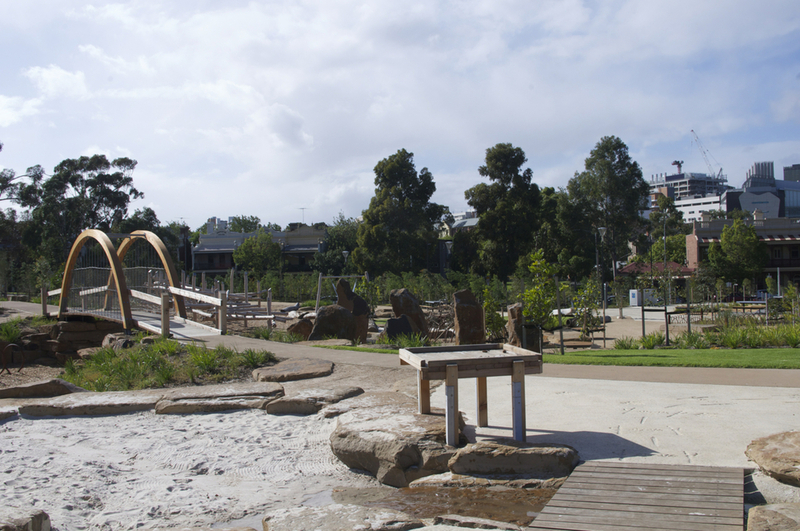 The Royal Park Nature Play Playground opened its doors yesterday and is proven to be a huge hit already! We have been keeping an eye on its development over the last 6 months and were thrilled when we heard the news! It was a bit windy this morning however the sun was out and this amazing space provided the goods. Little Miss was spoilt for choice and loved it! 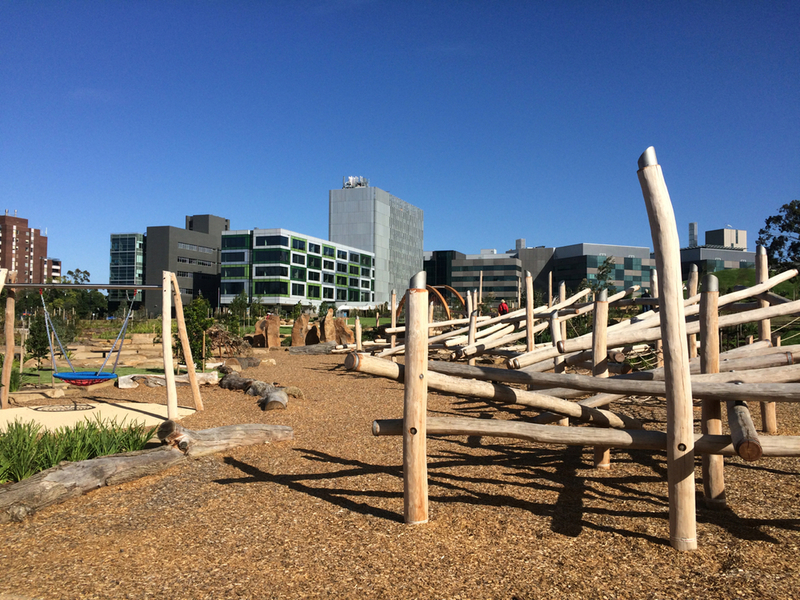 I personally loved the natural feel to it which brings a de-stressing element to this playground (even when little Miss was running around ha!). 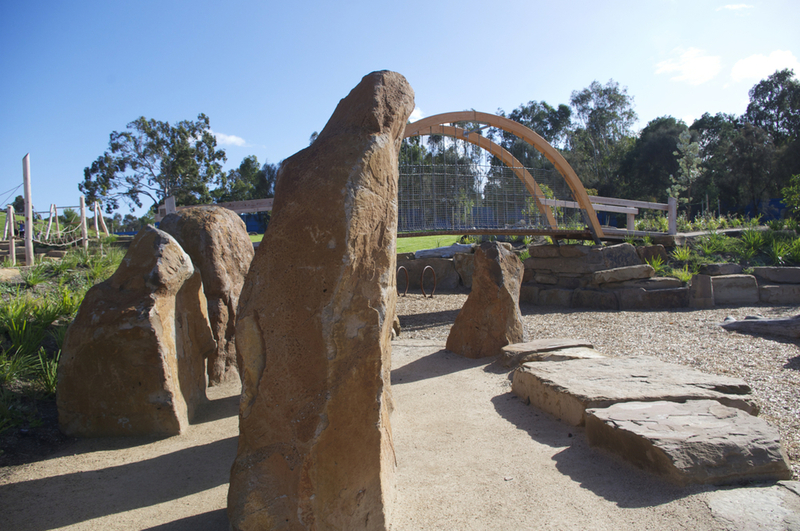 Lots on offer, just to name a few: one large round swing, climbing areas, water play areas, water jets, sandpits, 2 baby swings, 4 normal swings, 3 different size slides and a large grassy hill as well as picnic tables, seating and BBQ areas. 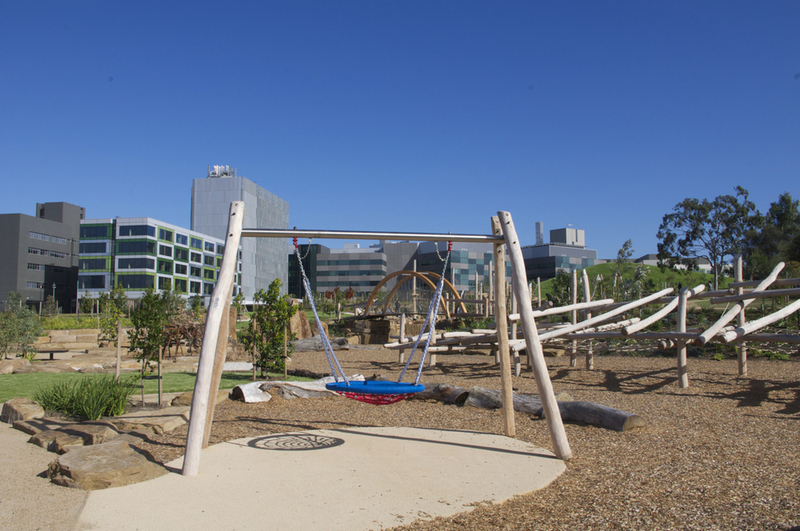 The $5.5 million new section of the park completes the $1 billion new Royal Children's Hospital project. 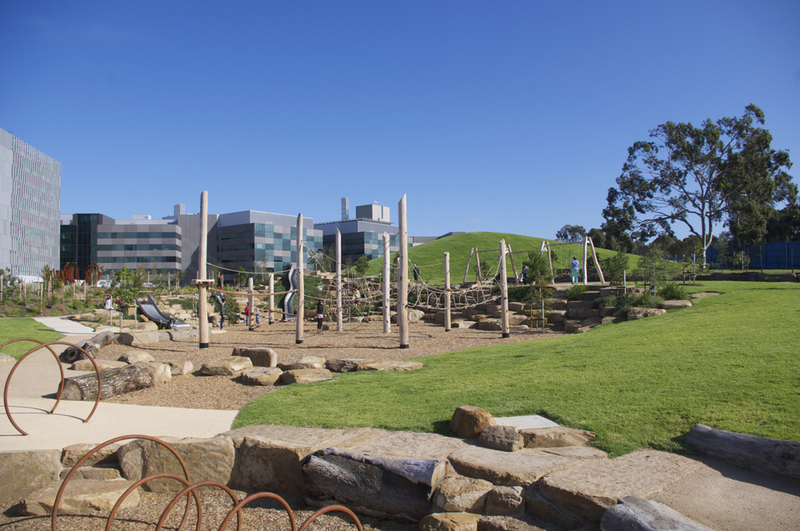 The new parkland includes more than 1,100 trees and 17,500 other plants and grasses. Note: 3 hour ticket parking is available along Flemington Rd and along the first part of Gatehouse St (first left turn after you see the park). Drive a little bit further down and there are 1 hour free parking spaces. Please be aware that Gatehouse St is a busy street, the playground isn't fenced however it is set back from the road. Also there are no toilets on-site or shaded areas so come prepared.